Hello dear friends! I have let another couple weeks slip by without checking in, except the odd comment on your blogs or replies to comments on mine. Just wanted to stop by today to say that I have nothing much to show for my time, just a few kits, a couple attempted tutorials, and a bunch of projects in various stages of doing (which are waiting for some motivation). 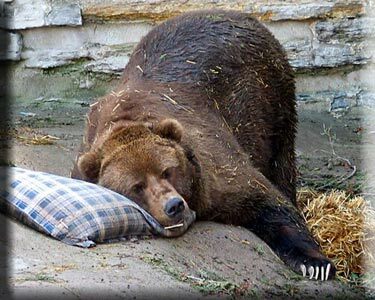 I just can't seem to get into the groove, and my body is telling me it's time to hibernate! First, the kits. I started off by completing a sewing box kit from Jean Day. She has really nice feminine kits, artwork and doilies in many scales, so stop by her Etsy shop and daydream! I really enjoyed making the sewing kit, and there is so much stuff in it that your sewing box will overflow like mine! I even have leftovers to use in other projects! Next up was a collection of Dragonfly International kits. I just love these laser cut kits because they are so easy to do and to customize, and Deb's site is so full of fun stuff to shop for! The candy box kit and purse kit were super fun! The lady's screen kit got a whole new life as a fireplace screen. It was fun to customize it for the cottage living room! I have a lot of bookshelf space in the living room and bedroom alcove, although a lot of it is allocated for delicate knick knacks. Not knowing exactly how many books I'd want on the shelves, I used part of the materials in a book making kit by L. Delaney on Etsy. I only made 27 of them. I've made plenty of mini books for my projects over time, but her method is quite interesting. 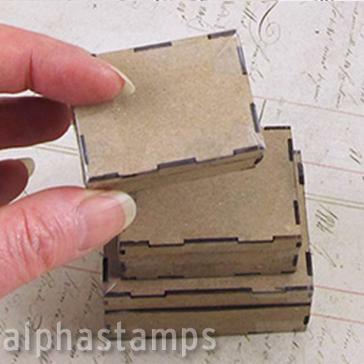 I've had these chipboard suitcase kits from Alpha Stamps for quite some time. They were originally intended to go into the flower shops a couple years ago. They don't come with instructions, but I am sure one of their staff crafters has a blog post about it somewhere. I just winged it, and since they are going to be filler pieces I wasn't too concerned about detail. They were fun though seem to need more shabbiness. I made the laser cut side table kit (MenutmonShop Etsy but no longer selling?) and pitcher kit (Angie Scarr), both of which need to be painted. As do the coffee table, chair, dresser, nightstand and vanity set. We had snow here the last couple of days, with more predicted for the weekend, so spray painting is on hold for a while. I have plenty to keep me busy - just making the replacement fabric panels to recover the chair is enough for hours! And I can always dust off my sewing machine and begin making the cushions, bedding and pillows - Oh Brother!!! That's going to require an excavation! I did make a few styles and sizes of shopping bags for the lady of the cottage using Julie Warren's Bag Tutorial as a guide. I feel lazy, I am hungry and I want a nap. Yep - I must be a bear! Hopefully, it'll pass quicker than winter. Well if this is lazy then, I must be dead! lol... This is a lot of stuff for someone who is un-mini-motivated Jodi! Oh my goodness those Chocolates are delightful. They will be a great prop for a Valentine's picture. :) Cute handbag, I'm thinking of making some from bulldog/binder clips, have you seen what people are doing with those. Amazing! Thanks Sam but there really isn't much time invested here! I just saw a binder clip purse for the first time the other day - very interesting! Thanks for the link! You know I probably could have used the Cricut to make the fireplace screen, but I just had to see if I could utilize the kit. I'm a weirdo! Yeah bummer about Menutmon - I am glad I bought the four kits back when I did! The chair was a Bespaq Direct one, Lorraine I think, I picked up on eBay for around $20 last year. I have a thing for chairs too! Hopefully it comes out okay! The wooden/cardboard bottoms on Julie's bags really do help them stand up - my material is just thin cotton as opposed to the fiber type she used in the tut but they are fine. I've always equated being lazy as NOT doing anything but lazing around Jodi-style is an interpretation I like much better! And I believe that passing the time with making kits is a great way to get something done in between not doing what you had originally intended. Love the kit-bashed fire screen and the the suitcases - Woweee what a Transformation!!! Thanks Elizabeth! There were a couple days where I had some motivation, but not my usual level, so I feel like a lazy person - which is not to say that's a bad thing! Just not usually my neutral! Kits are a great focus maker when my creativity leaves me - I can generally follow directions and at least feel like I am making some sort of progress. This always happens to me at this point in a build and I always worry that I am going to abandon it! Hopefully, just giving it a few days (weeks?) will allow some excitement to creep back in again! I am trying to get motivated to get up out of my chair and go downstairs and do something. I've been trying to make a block puzzle, with some not so good luck, so I lack a bit of motivation. I adore the the little sewing basket. I may just have to make one and I just love watching Julie Warren's videos. She is the best, so your little bags are so sweet and cute. Oh. I just love it all. And now we wait to see how you use all of those sweet, wonderful little pieces. Thanks Ann! I know the feeling! I think the trick is to just stop fighting it and let the laziness happen. That's what I'm going to try, anyway! I hope the mini mojo returns to both of us, soon! For not very productive you've done a lot! The sun is shining here and I'm getting nothing finished. I love the firescreen kit-bash, and all your other completed pieces are so neat and pretty. Yep, the suitcases need something more but maybe wait to see where you're going to put them. If it's not a very prominent spot they might be fine as they are. Looking forward to seeing the upholstery! Thanks Megan! Oh sunshine can be such a lure away from responsibility! I wish it were summer and that that was my reason! The house is cold and outside is frozen so snuggling under a blanket is my temptation. Yes they do need something... wish I knew what. Maybe letting it marinate a few days will help. And I know better than to start on the upholstery unless I am feeling it and completely In The Mood! what a great activity for someone who hibernates. magnificent achievements! That looks pretty productive to me! What a great job you did on the kits. You have so many wonderful things to fill your amazing house with. The Sewing box kit is a favorite of mine and I love what you did to that luggage. Amazing! It is great to stop everything and hibernate some times...that is when brilliant ideas come to us. Thank you Giac! I sure hope you are right and that inspiration and motivation will come over me again if I just give it a few days. For some reason, whenever there is snow on the ground, my mind thinks "Snow Day"! More is coming tomorrow, so I only see lots of sofa snuggling with Russ and the puppies for the weekend! Like everyone else I am astonished at your achievements whilst doing battle with the idea of being lazy. Everyone a gem. I think I can detect a snifter of guilt that you aren't doing what you feel you 'should' be doing. Oh, how I can relate to that right now. Meanwhile, in your case, much loveliness is achieved. Brava. Wowwww...muchas minis para rellenar esa magnifica casita que nos están haciendo disfrutar. Gracias Marion! Tengo muchas ideas para llenar las habitaciones, pero ninguna de las motivaciones en este momento. Tal vez voy a coger la fiebre de primavera pronto! LOL I think laziness is underrated! We all need a rest sometimes. And your rests are more productive than my busy days it seems. I love your fireplace screen and your furniture is going to be just gorgeous! Can't wait to see the flower kits! Thanks Alayne! Truthfully, I gave very little effort to minis over the last couple weeks. Kits are so much fun and can be the perfect solution when our own minds can't come up with what to do next! I hope you do get your kits out and have a blast with them! Thanks Deb! I just love fun kits, and to me they are really fun when they are easy enough to be successful with them! I don't know how many kits have ended up in the trash after much frustration! The chocolates do come with the kit, though you have to foil wrap some of them. Essentially, you paint the boxes and put them together with labels. I added a little Mod Podge to my chocolates to make them less chalky looking and more creamy, but the kit is designed for success so is really fun! And yes, I would not say no to a See's Butterchew right about now!!! Ah! The Mod Podge was an excellent addition. It gives them that lovely, glossy look. Hi Jodi. Take a breather! It’s OK! You have had a productive year with the cottage so don’t feel bad that it is taking a back seat right now. Motivation will return. You can always pick one small project and do a half hour in the evening or weekend, just to keep ticking along. It’s a hobby - enjoy! Oh and everything looks fabulous by the way! Thanks Shannon! It feels like every To-Do has a major obstacle, so being able to at least keep entertained with the kits makes it feel less like I am "off track". Usually, an idea will hit and get me excited and that's all I need! You call this being lazy? It would take me at least 3 months to make this lot. You chose beautiful kits and you made them gorgeous. Fantastic achievement. Ha ha! Thanks Drora! I really appreciate the encouragement! I actually took a close look at some of my smaller kit structures the other day and thought about starting one of them. Maybe I am craving the building part and not so much the decorating? As we say in the US, I must be off my rocker! No me extraña que quieras descansar, has trabajado mucho y es todo precioso. Hi, Jodi - I wouldn't worry about being lazy if your laziness can accomplish so many and varied projects! You amaze me with your productivity. My own particular form of laziness produces nothing - not even guilt! It does seem as though you've had a lot of fun making all those pretty things from kits and tutorials. I especially like the striped suitcases, and you did beautiful work on the sewing box. The Lady's screen is beautiful; that's such a great color, and I love the floral insets. I think you've earned a hearty snack and a long nap! Enjoy! Thanks Marjorie! I am envious of your guilt free laziness and shall strive to achieve the same! It was fun to do the kits and tutorials, and my To-Do list is not short of suggestions to keep me moving forward, but none of them stir excitement yet. With another round of snow coming today, cabin fever may just motivate me to finish something! Yeah, I hear ya, one bear to another. This is that time of year that I start five things and maybe settle on one or two. :D I love the tiny cases from the plain boxes especially. Cuantas cosas bonitas has estado haciendo, es normal que quieras descansar un poco, y que vuelvas pronto a enseñarnos esa casita adorable. As always great to see this, the kits are very nice,you are busy with it, I have found lazer kits for my new home, nice material. Oh how exciting! I can't wait to see it Gonda! With your skills and imagination, it will be spectacular!!! Oh Jodi! I feel your dilemma! It's hard to get and stay motivated when it's so cold outside. All one wants to do is hide under a blankie, stay warm and eat bon bons all day! LOL! I love all your little projects and look forward to seeing them in the cottage. Thanks Teresa! Connecting to something you're excited about is sometimes elusive! I don't like when it happens because I get board so quickly! But I have put the cottage to-do's aside for a little while to work on another challenge! Hi Jodi, we all have our slow times! That said it looks like you've still been very busy! I just love taking a walk through your kits and projects. I haven't really done any kits but you make me want to try, it looks like a fun way to get inspired. Can't wait for all these pretty things to find homes in your build! Thank you Kristine! You would really enjoy making kits, and I am sure you will have a lot of opportunity to do so with them for big house! My issue is usually that I become bored so easily and so my stick-to-it goes away at about this point in every project. I just have to find something different to do for a while and then, thankfully, it comes back! Ha ha! You are so funny and way too kind! :O) I am happy that you like the kits and results! Please tell Fluby it has been fun to practice being a bear, and I should like to try it again in the future. Now though, I am board and must find something that is interesting, challenging and keeps me busy! My mind on pause is not a fun place to be! That looks super productive to me! But I love it all. I love the Dragonfly International kits and I've been reading Julie Warren's book on making kitchens, so maybe I will try to make the bags too. They look great! I also love the suitcases - I just love that striped pattern. And that sewing kit! That looks great too. Thank you Penelope! The results you achieve in doing the How To articles you find are amazing, so I am certain your foray into furniture making is going to be fun with sensational results! Oh Pepper! When I saw your name my heart smiled! The slowing at the end of a project is something I am still trying to figure out about myself, and maybe I just need to stop thinking of it as a major personality disorder, lol! These furry babies are such a temptation away from minis, and they are never happier than when the entire pack is lounging on the sofa or snuggled up in bed!